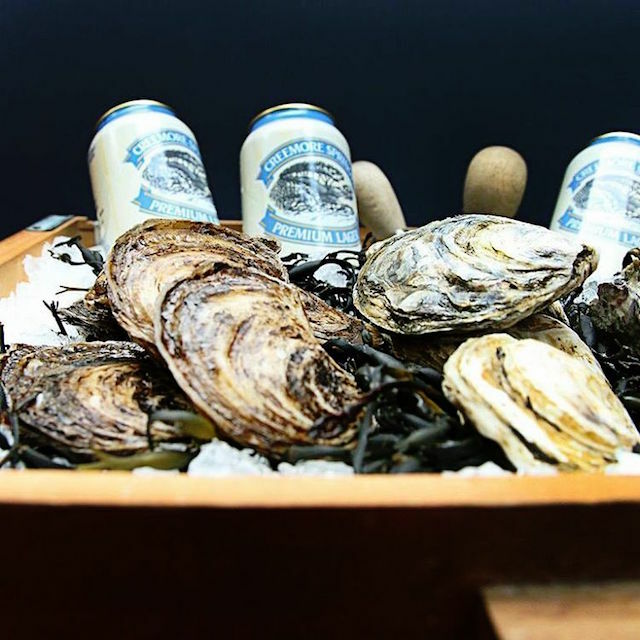 Although it isnt necessarily the first partnership that comes to mind, beer and oysters have a long and beautiful history of working well together. 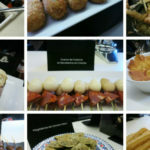 That inspired Environmental Defence and Rodneys Oyster House to invite media to Amsterdams Brewhouse to preview this years Ontario Oyster Festival. The first half of the evening was dedicated to helping Amsterdam brewer Iain McOustra and his team brew an oyster stout for the festival. While most people dont necessarily look to stouts as the ideal partner for oysters, stout is probably one of the oldest beer partners for the king of bivalves. The stout emerged as a popular style in 17th century Great Britain and pub owners turned to the plentiful and cheap oyster to give their patrons a simple-to-make and easy-to-eat-while-holding-a-pint snack. With its not-too-filling size and a sweet-briny flavour that complemented the bitter-sweet flavours and creamy body of a stout, the oyster quickly became a pub staple solidifying the oyster-stout romance. Over the years ingenious brewers have encouraged the life-long partnership by taking the concept of a stout for oysters to new levels. 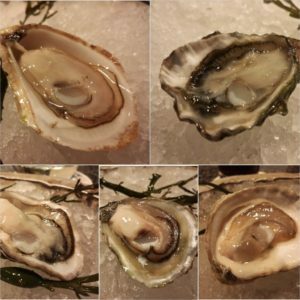 First, they used the calcium-rich (a great clarifier) shells to finish the brew before evolving to incorporate the shells, meat and oyster liquor (the briny liquid inside an oyster shell) into the brewing process. This is how the oyster stout style got its start. Amsterdam is making use of all three later innovations by adding 150 of Rodneys own PEI-grown Prince oysters and extra brine it has been collecting for this special 15 hectolitre batch of oyster stout. The shells, the key ingredient for McOustra, will be making it into the brewing tank later in the process. The vision is for a stout thats low in alcohol with a very silky feel and a subtle briny flavour with the hope of making it an ideal complement for freshly shucked oysters. 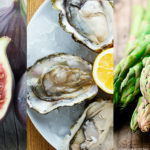 Youll be able to judge the results for yourself at Ontario Oyster Festival July 20th pairing it with some fresh shucked oysters, or for the raw shellfish averse: mussels, shrimp, lobster or even a burger. 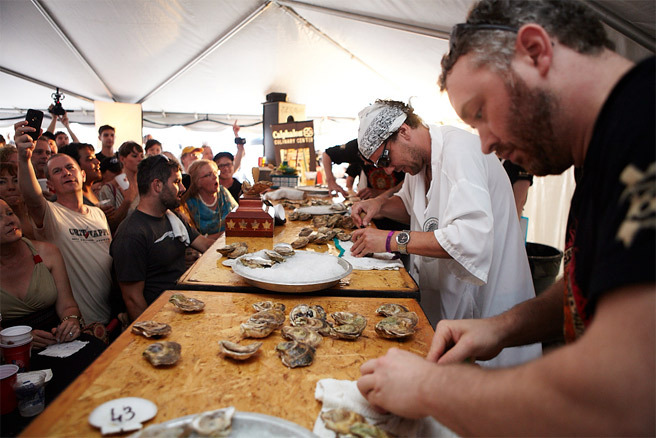 Along with long-time partner Rodneys providing the food and Amsterdam the beer, the festival, which is a fundraiser for non-profit group Environmental Defence, will also feature live soul music, a DJ and an oyster shucking competition. While a dry oyster stout might be the quintessential oyster partner in the beer world, it isnt the only great one. In fact, depending on the oyster it might not even be the best beer to pair. Patterning different varieties of oysters with beers was the inspiration behind the second half of the evening at the Brewhouse. McOustra and Julius Chapple of the Rodneys team came together to pair some adventurous beer styles with a variety of oysters. First up was the Amsterdam-Great Lakes collaboration Ezra. This farmhouse-style Belgian ale features a beautiful stone fruit core from that glorious strain of Belgian yeast. But it also has a subtle underling edge from a touch of earthy brett and a sweet-tart tension courtesy of the former Spirit Tree Cidery oak barrels it was aged in. It brought added depth to the clean and bright sweet sea-breeze flavour of Rodneys Prince (PEI-grown Virginia) Oysters, while the oyster turned-up the volume on the beers background floral cider notes. Amsterdams Rye Baltic Porter then showed that oyster stout neednt be the only style from the porter/stout family to consider when youre having oysters. This batch was the last of the brewerys big beautiful baltic porter. A leviathan of a stout upon release, it was brewed with rye and clocks in at about 9% alcohol―it was essentially undrinkable for the first couple months says McOustra. But the transformational forces of time showed a magical touch here because after a year-and-a-half of ageing it has blossomed into liquid cashmere. Its irresistibly silky-soft with a luxuriously creamy smoothness on the body yet it still manages to maintain lightness so it never feels big or heavy. The only hints that this was once a formidable beast of a beer is its signature peppery rye finish. It was a perfect textural match for the plump and creamy Marinas Top Draw Pacific oysters from B.C. with the beers subtle roasted malty and peppery flavours acting as a nice contrast to the oysters sweet melon rind and buttery lettuce notes. But the star pairing came courtesy of Amsterdams Wild Gose and the Pemaquid variety of Virginica oysters from Maine. Gose is an interesting Northern-German style of wheat beer that has a tart acidity character from lactic acid thats similar to a crisp white wine. Its also brewed with coriander and salt giving it some subtle spicy and saline notes that work beautifully with oysters. This version is a 100% brett fermentation and also adds lemony briny-tart Sorachi hops, pink Himalayan and coriander to the mix. The result is an intriguing and layered beer with a gorgeous pithy white grapefruit core, a tangy-yeasty sourdough note reminiscent of traditional-method sparkling wine and an earthy-funky flavour like you encounter on the outside of a great washed rind cheese. That last funky flavour is echoed in background of Pemaquid while the beers citrus and sour-sweet wheat notes plus its slight saline and briny-sour finish melded beautifully with the briny flavour of these warmer water east coast oysters. 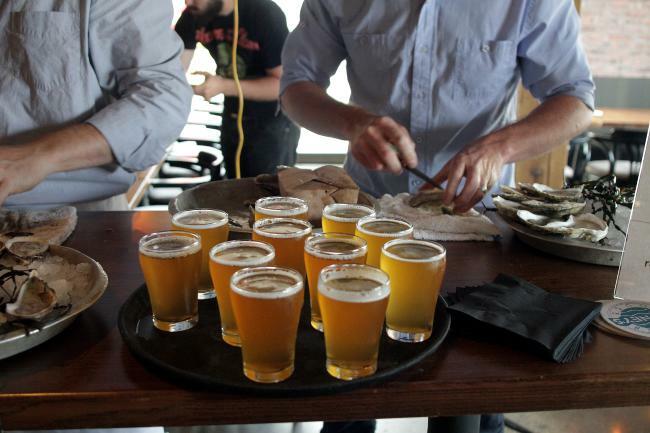 It was a great lesson in the versatility and variety of beer as an oyster partner and solid proof that beer can shine just brilliant with oysters as a crisp glass of white wine especially when you reach of one of these more adventurous styles of craft beer.